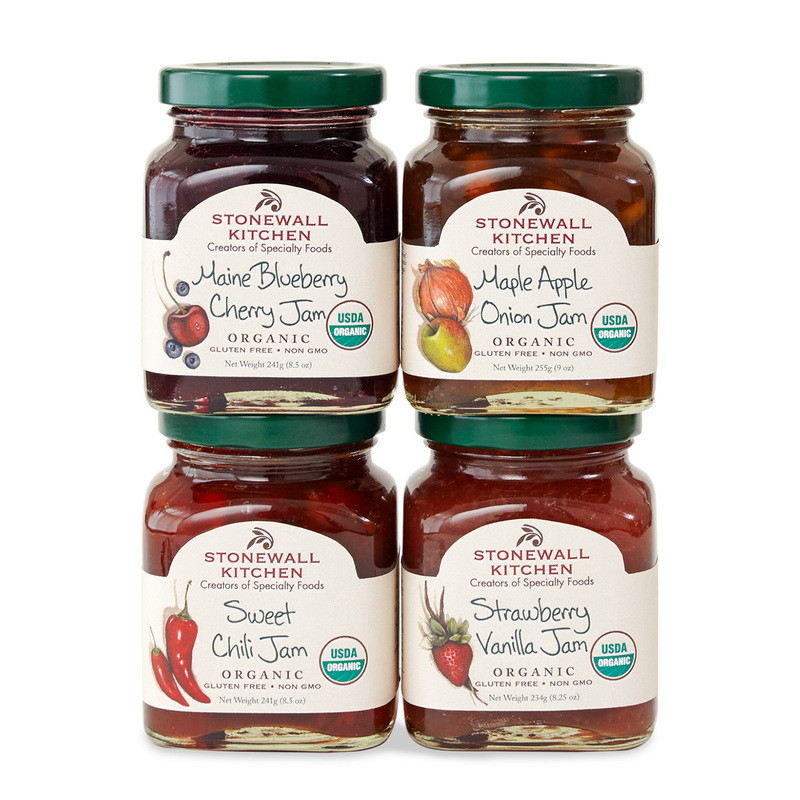 We made it easy to enjoy four of our unique and delicious Organic Jams by putting them all together in one tasty collection. The Maple Apple Onion Jam is made with organic maple syrup, Granny Smith apples, onions and spices. The Sweet Chili Jam has bold jalapenos, savory red bell peppers, pure cane sugar and tasty spices for a deliciously robust jam that goes great with cheese or can be used as a pan sauce. 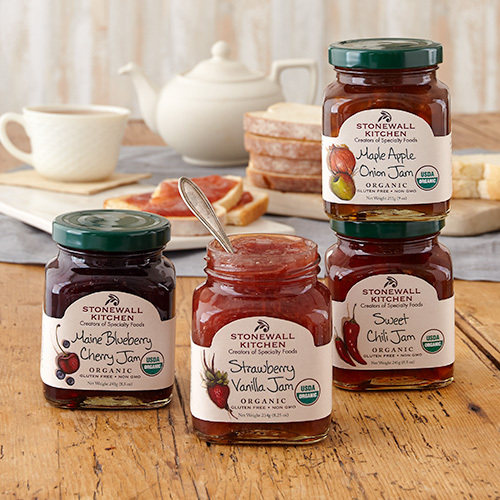 The Strawberry Vanilla Jam is made with sweet, ripe and organically grown strawberries and vanilla for a flavor reminiscent of strawberries and cream. Lastly, the Maine Blueberry Cherry Jam is loaded with bits of real fruit and has that wonderful, farm-stand-fresh flavor that will bring everyday breakfast breads, hot cereal and good 'ol PB&Js to life! Each is certified organic with a wholesome taste and quality you're sure to love.